The Undertaker and Bret “Hitman” Hart are my two favorite wrestlers. Hart’s never give up attitude, despite not being the biggest, fastest or strongest, along with Taker being the unconventional hero to conquer the biggest threats when no one else could, were ideals that inspired me growing up. I often flip-flop on who takes the number one spot on my list because it changes almost every day. They helped define a generation of wrestling by being two of the best storytellers to step into the ring. However, can you name their best match with one another? While their highest profile match occurred at Summer Slam 1997, the only thing that people remember from that match is when Shawn Michaels, as the special guest referee, accidentally blasted Taker with a steel chair, allowing Hart to win the title. It’s not a bad match, however, it’s a slow and plotting affair that focused so much on the narrative that everything else got lost in translation. The same occurred in their match at the 1996 Royal Rumble where Undertaker won via DQ. 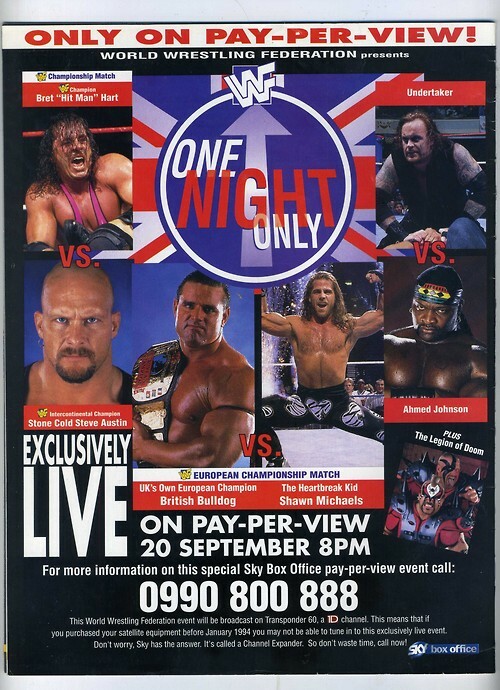 On September 20, 1997, WWF held a PPV event in England titled “One Night Only” that never aired in the United States. The show is best known for Shawn Michaels defeating the British Bulldog for the European Title after refusing to lose to him when instructed to do so by Vince McMahon. Undertaker’s WWF title rematch against Hart was the unsung hero of the show because for the most part, fans didn’t know that this match had occurred. It was edited off of the show’s home video release because it came out shortly after the “Montreal Screw Job” and WWE didn’t want to promote Hart in any way. This match occurred during Bret Hart’s unique heel run as he was booed in the U.S. for denouncing the country, but cheered everywhere else for championing their attributes that he claimed America was lacking. Being American, it was weird to see the tonal shift in fan appreciation as contempt was the norm. Both men were cheered and booed with a 50/50 split throughout the match as Undertaker stalked Hart from the opening bell. There was no feeling out process as fists began to fly. Taker won that exchange and mauled Hart with chokes and power moves early on. There are certain things in wrestling matches that don’t happen to a top babyface because the idea is to make them look as strong as possible. Hart resorted to his quickness moving out the way of an elbow drop and caught Taker with a clothesline as he did his patented coffin sit up. It was a cool moment since no one had ever done that to the “Deadman” before or since. The only reason that clothesline was okayed is because this was a babyface vs. babyface featuring the company’s two biggest stars at the time. Bret Hart took his customary stiff chest first turnbuckle bump, only this time it was done without the turnbuckle pad to the exposed steel. From there, Undertaker would deliver several big punches to Hart’s sternum, which again, is a form of attack that Hart never endured in earlier matches. It’s smart and made sense, too, because if this was “real,” you would totally go after the injured body part as opposed to leaving it alone like so many had done before. The heat was on as both men used their standard moves while continuing to pull out new tricks. Undertaker wore down Hart with submission moves and at one point used a nice crucifix pin. Undertaker gets some hurt put on his knee for a while but comes back with some leg drops until Hart catches his leg ala Summer Slam 1991 against Mr. Perfect, and reverses into the Sharpshooter. Undertaker eventually powers out, Hart goes for the Sharpshooter again, but gets caught with a chokeslam attempt until kicks his knee to break the hold. Undertaker sold a lot more than he normally did back then while Hart resorted to heel tactics such as using the ring bell, which didn’t sway his supporters but made those rooting for his opponent more jeer even louder. The finish saw Hart fighting out of a Tombstone attempt and tried to deliver one of his own. Undertaker reversed it, scooped Hart up over his shoulders and Hart grabbed on to the ropes in desperation. Hart was then thrown into the ropes and his head got hung up in between them. Undertaker wouldn’t halt his attack against a defenseless Hitman, and the referee disqualified him. Besides the lame finish, this match is a great example of back and forth action that didn’t let up. 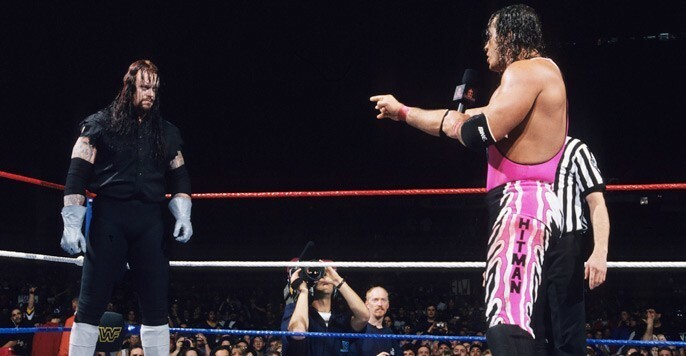 Undertaker and Bret Hart had the crowd in the palm of their hand for this 28-minute showdown. No moves were wasted as everything was done for a reason. In 2005, this match finally saw the light of day as the WWE produced a DVD chronicling Bret Hart’s career. Hart handpicked all the matches that were included in this collection, including this epic clash from England. 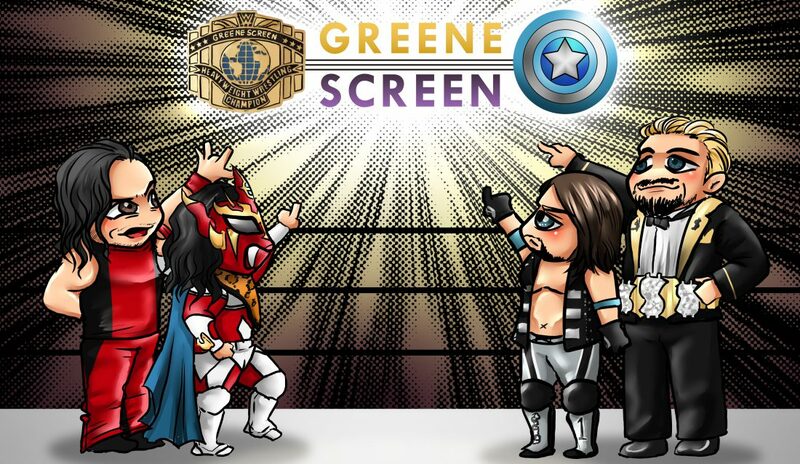 I almost didn’t watch this match when I first bought the DVD because I assumed it would be old hat since I didn’t like their previous matches. Damn, I was wrong and I’m glad I finally got to see a match was between Bret Hart and the Undertaker that matches their legendary careers and reputation within the industry.